"Wulingren" of The Mandate of Heaven天命 posted an interesting review of Russell Shorto's book The Island at the Center of the World . Shorto's book tells "the epic story of Dutch Manhattan and the forgotten colony that shaped America", and Wulingren uses the book to compare Manhattan (where he grew up) with Taiwan (where he lives now). The Dutch bought land from indigenous tribes and founded colonies in both places almost at the same time, and Wulingren draws some interesting parallels. 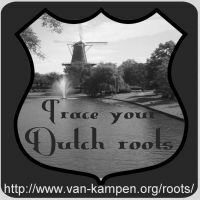 Both Shorto's book and Wulingren's blog post are worth reading if you're interested in 17th century Dutch history and early Dutch settlements, even though there are some factual errors in both - Shorto is more interested in telling a fascinating story than in factual correctness. When growing up I often heard the words "Pennsylvania Dutch" when our family origins were talked about. As far as I know, the "Pennsylvania Dutch" are German, not Dutch. See e.g. the Wikipedia article on Pennsylvania Dutch.